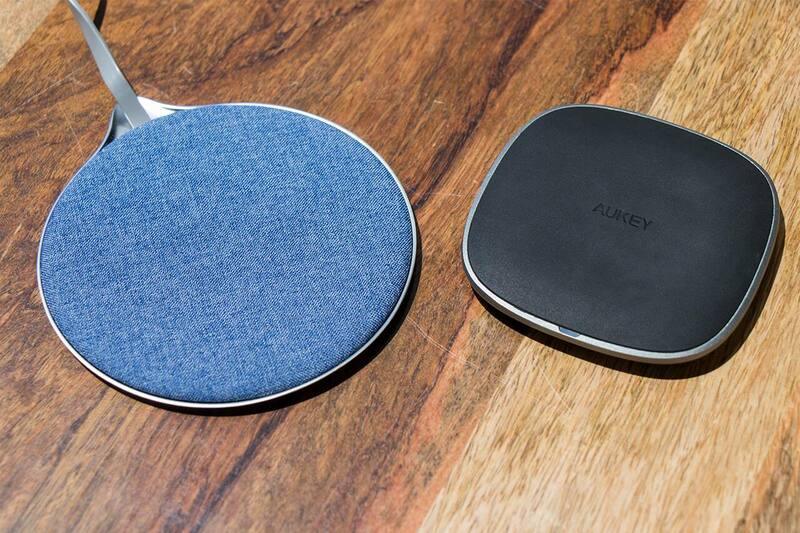 Aukey's two newest wireless chargers offer great design value, but only offer average charging speeds. Aukey recently released two all-new wireless chargers, the LC-C5 Graphite Wireless Charger and LC-Q4 10W Wireless Fast Charger, both of which feature different yet thoughtful designs to fit just about any lifestyle. With smart charging capabilities and sleek exteriors, are these power pads worthy of your consideration when shopping for wireless chargers? With the help of Slickdeals staffers (thanks, Amy and JT!) I tested these Aukey chargers with a variety of phones, including an iPhone 8, Galaxy S7, and Moto Z2 Play. Did they deliver the "fast charging" speeds as promised? Keep reading to find out! Special thanks to Aukey for providing the LC-C5 and LC-Q4 chargers for review! Having won a 2018 iF Design Award and a 2018 Red Dot Design Award, there's no question about the attractiveness of Aukey's Graphite Wireless Charger. A metal base and matte black, anti-slip rubber surface give this wireless charger an elegant look that discretely blends into any living area, especially with its small footprint and height. In terms of performance, the Graphite Wireless Charger outputs a maximum of 5W of power, which places it in the middle of the pack for charging speed. 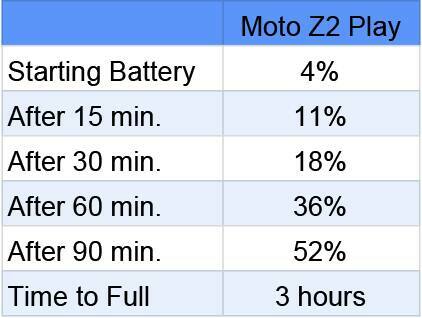 No real surprises here as the Moto Z2 Play and Galaxy S7 received full charges in about 3 hours, while the iPhone 8 took close to 4 hours because of restrictions put in place by Apple -- iPhone 8 (and X) aren't allowed to "fast wireless charge" for whatever reason, meaning it will always take between 3.5 to 4 hours to receive a full charge. 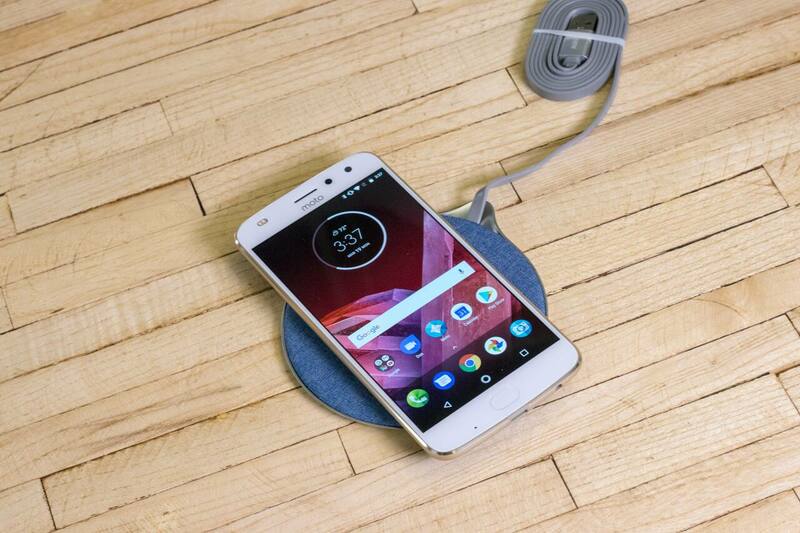 With wireless charging, though, you trade convenience for speed -- that is, if you're disciplined enough to leave your phone alone for some period of time. "It was really convenient to just set the phone down on my desk instead of plugging it in," said Amy N., Engineer at Slickdeals. "The Graphite Wireless Charger helps keep my phone topped off throughout the day, and having a designated charging spot meant I spent less time looking for it." And while the charger works through a case and doesn't make the phone too hot, it didn't deliver the same performance as Samsung's official fast wireless charger, or Anker's PowerWave 7.5 Series. 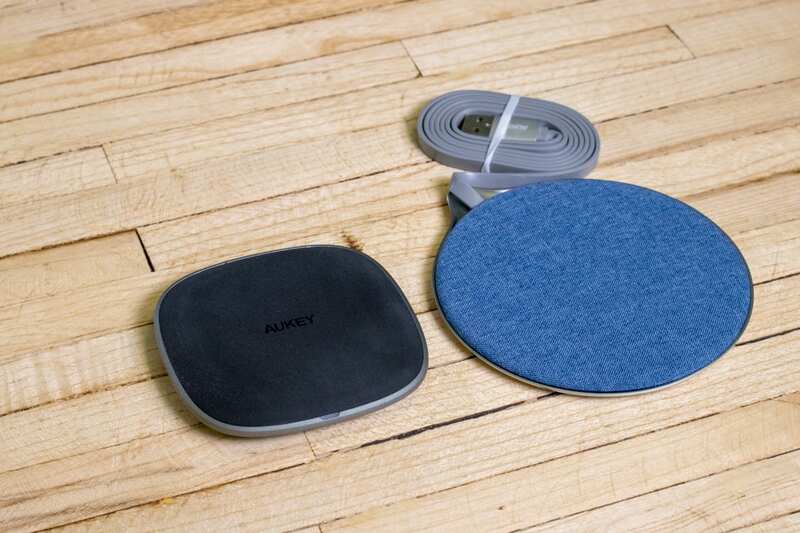 "Having used a Samsung Fast Charge Wireless Charger Stand in the past, the Aukey pad takes about 1.5 times longer to obtain a full charge," said Amy. Granted, the price for Aukey's wireless charger ($28.89 at time of publishing) is half of what Samsung and Anker are asking, but oddly, Aukey did not include a wall adapter, leaving us to source our own USB adapter with the proper power rating. This didn't affect our testing though as we all happened to have QC 3.0-rated wall adapters. If you're looking for a well-designed and affordably-priced wireless power solution, the Aukey Graphite Wireless Charger (LC-C5) is a suitable contender to extend the run time of a fully-charged phone throughout the day. Just don't expect it to quickly replenish a dying battery when you're about to leave the house or office. Offering one of the freshest designs that I've seen for a charging pad, Aukey's 10W Wireless Fast Charger (LC-Q4) is just as much a lifestyle statement as it is a power solution. A blue fabric surface sits atop a solid aluminum base with an attached cable, and adds a splash of color and flair to any desk or counter top. For extra cool points, a white lightning bolt flashes through the fabric when a phone is charging. While Aukey claims a 10W max charging output, the performance was identical to the 5W Graphite Charger when testing with the Moto Z2 Play. In fact, the phone says "Charging slowly" as it heads towards its ~3 hour time mark for a full charge. Keep in mind that this is the same phone I used to test Anker's 7.5W PowerWave wireless charger, which topped it up in just over 1.5 hours. Just like before, my biggest issue with this charger is the fact that Aukey did not include a wall adapter. There are already so many unknowns associated with wireless charging -- device type, power output -- and including an official adapter to guarantee the correct wattage would make switching to wireless charging that much easier. Coming in at $28.99, though, the Aukey LC-Q4 matches the performance of other similarly-priced charging pads, and adds value through its unique visual design and materials choice. Many of the issues that these two Aukey chargers face aren't unique to the products themselves -- the nature of wireless charging inherently places limitations on performance and compatibility, and it feels like the technology has only recently started to see improvements after Apple added this convenient feature to its newest iPhones. 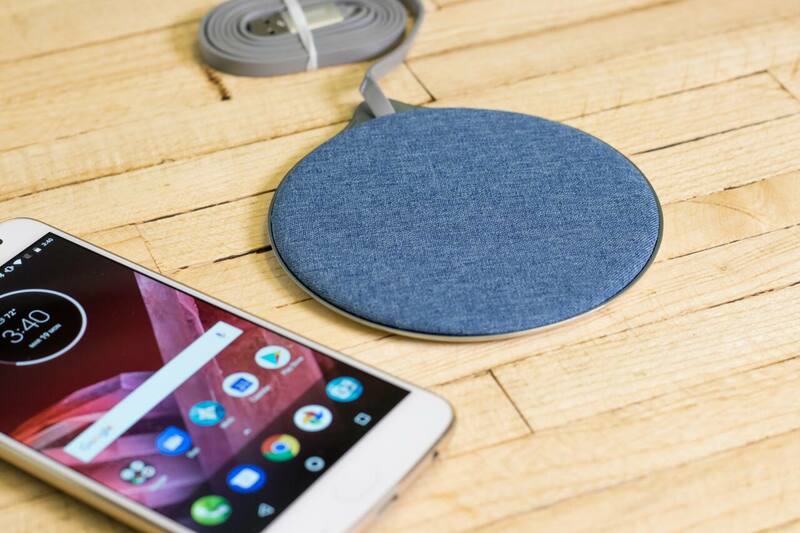 If your smartphone can be charged wirelessly, there's no reason you shouldn't have one or two wireless pads lying around the house or office. You already paid close to $1,000 for your flagship phone; what's another $30 to use all of its features? And while Aukey didn't break any records for charging speed, its latest products definitely offer a breath of fresh air in the crowded market of boring, plastic, puck-shaped chargers. The Graphite Wireless Charger ($28.99) and 10W Wireless Fast Charger ($28.99) are available right now from Aukey Direct via Amazon. 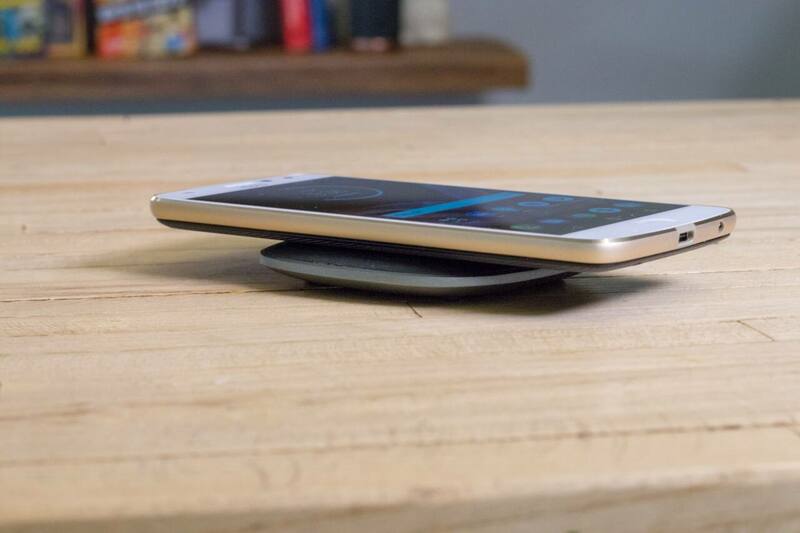 Do you have a smartphone with wireless charging capabilities? 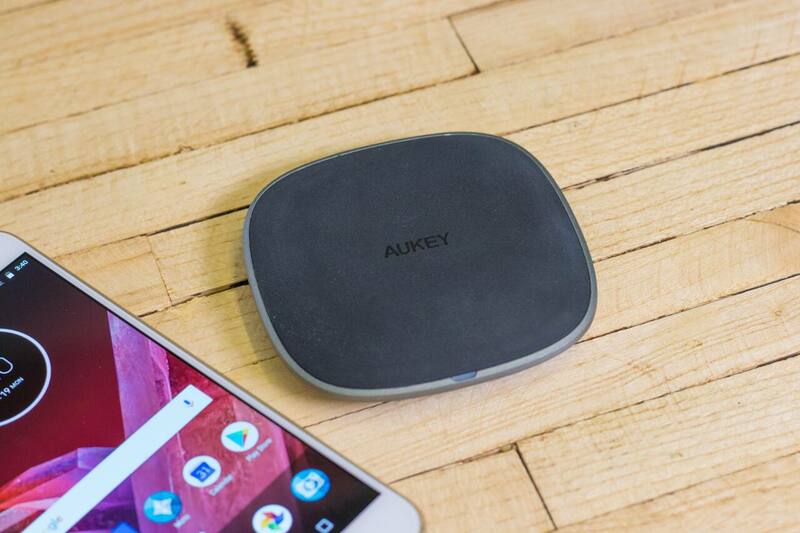 Enter to win your very own Graphite Wireless Charger, courtesy Aukey!